Last time … on Ben’s blog! 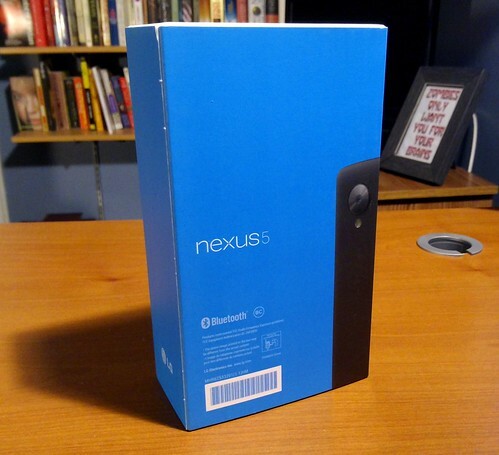 I got a Nexus 5. I spent most of that post rambling about why I got a new phone, why I chose the Nexus 5, and my initial reactions to unboxing the phone. Now I’ll go into more depth regarding my thoughts on the Nexus’ hardware and the software—Android 5.0, codenamed Lollipop. 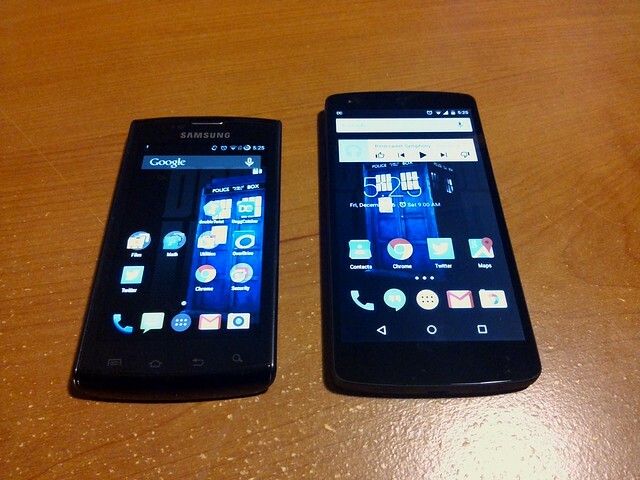 A lot of this will be framed in terms of comparing Hadamard, my new phone, to Noether, the old one. I gave in and bought a new phone last week. It arrived on Tuesday. Specifically, I bought a 32 GB black Nexus 5 from the Google Play Store. My former (and first) smartphone was a Samsung Galaxy Captivate (that is, the original Galaxy S phone). I don’t think it ever received an update beyond Android 2.2—I don’t know, though, because I eventually grew brave enough to flash CyanogenMod to it, freeing me from the tyranny of TouchWiz, and there was much rejoicing. Noether (I name all my devices after dead mathematicians), has been an admirable companion for four years. I feel bad that I’m replacing it before it has totally stopped functioning. But it’s kind of like my car.